This procedure involves opening of the tear ducts, to allow the tears to drain properly. What is Opening of Tear Duct surgical procedure? Tear glands and tear ducts are the parts involved in the Opening of Tear Duct procedure. Why is the Opening of Tear Duct surgical procedure Performed? Every time a person blinks their eyes, tears are secreted. The tears wash the eyes and are drained out through the tear ducts. These tear ducts drain the secretions from the eye to the inside of the nose. Generally, the Opening of Tear Duct procedure is not required for infants; in whom applying massages will help, in most of the cases. Various medicines and/or massage techniques may be utilized in treating the tear duct blockage. 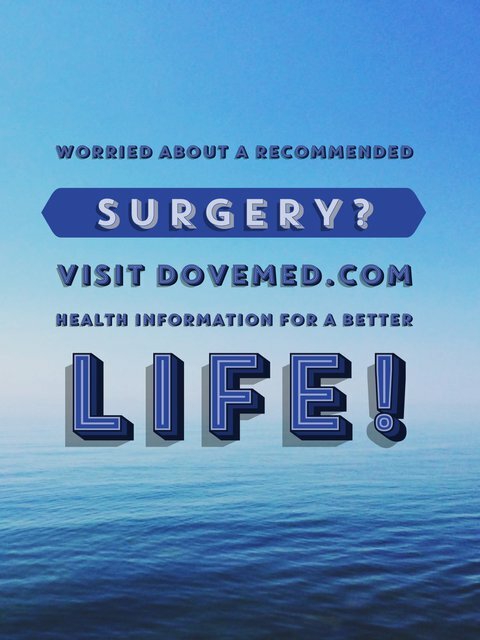 However, surgery is generally the preferred choice for treating blockage, which does not respond to massage. Currently certain developments are being carried out to make the process as less invasive as possible, with a quicker recovery time. What is the Cost of performing the Opening of Tear Duct surgical procedure? The cost of Opening of Tear Duct procedure depends on a variety of factors, such as the type of your health insurance, annual deductibles, co-pay requirements, out-of-network and in-network of your healthcare providers and healthcare facilities. How is the Opening of Tear Duct surgical procedure Performed? Conservative method: A conservative method is a non-surgical method used in young infants diagnosed with a tear duct blockage, as well as in adults, who have a blockage due to facial swelling. The method involves a special massage technique. Normally, the physician will demonstrate the technique of how to perform the massage. Minimally invasive techniques: There are three techniques in this form of treatment. Surgery (dacryocystorhinostomy): It involves a reconstruction of the duct, enabling drainage of the tears into the nose. Depending on the type of blockage, the reconstruction may involve connecting the tear duct to the nose through a different system, or reconstructing the entire drainage system (also called conjunctivodacryocystorhinostomy). 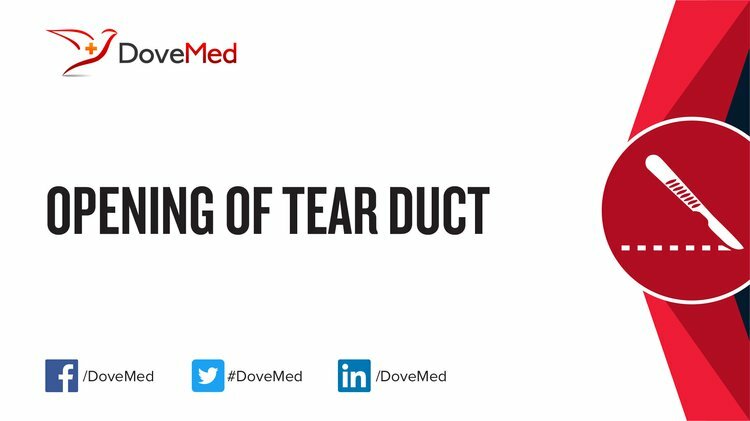 The Opening of Tear Duct procedure can be performed at an out-patient surgical facility, or at the surgical facility in a hospital. An ophthalmologist or a pediatric surgeon performs the procedure. The procedure will take about 10-30 minutes and maybe more, if a bypass of the duct is performed. A physician will request your consent for the Opening of Tear Duct procedure using an Informed Consent Form. What Tests are needed, before the Opening of Tear Duct surgical procedure? What is an Opening of Tear Duct procedure? Prior to the procedure, the patient may be administered local anesthesia by injection, a topical application, or even general anesthesia. A general anesthesia is preferred while operating on children. There is almost a negligible or minimal amount of blood loss. No blood transfusion is required unless any complications arise. What are the possible Risks and Complications during the Opening of Tear Duct surgical procedure? What Post-Operative Care is needed at the Healthcare Facility after the Opening of Tear Duct surgical procedure? What are the possible Risks and Complications after the Opening of Tear Duct surgical procedure? After the procedure, a complete healing is expected without any complications. What Post-Operative Care is needed at Home after the Opening of Tear Duct surgical procedure? It generally takes about 7-10 days to fully recover from the procedure. Who will you receive a Bill from, after the Opening of Tear Duct surgical procedure?